Every year, approximately 95 percent of the University of Rhode Island freshmen live on campus. After their inaugural year at the University, that number dwindles. 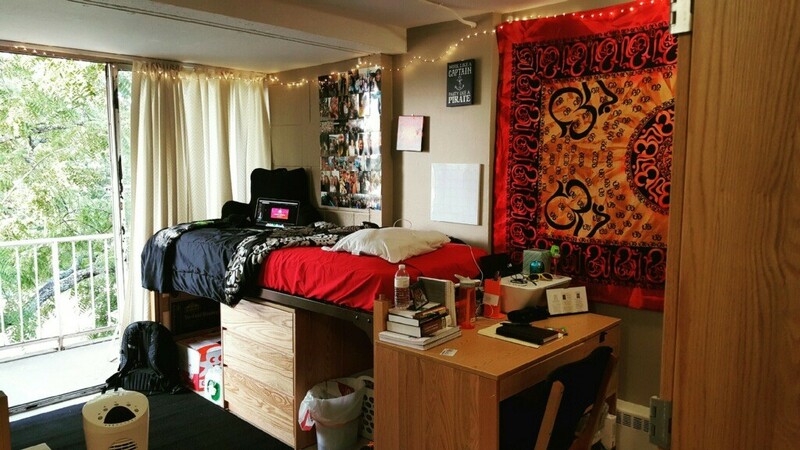 Options are limited, as not all upperclassmen are guaranteed on campus housing. Students entering their sophomore year are given few choices. They can hope for one of the coveted suite style rooms in Eddy, Garrahy or Wiley, aim for a double in Heathman or, arguably the most unpopular option, settle for a suite in the Roger Williams Residential Complex. The complex, dubbed the “sophomore slums” by students, consists of Aldrich, Burnside, Coddington, Dorr, Ellery and Hopkins Halls. And the moment I started to look for housing for my sophomore year, I was advised to live off campus rather than suffer in the slums. As the housing deadline was looming closer, I realized that my only option was Burnside Hall. I was wary when I first moved in a few weeks ago, but living in the slums actually surprised me. Frankly, living in the “Sophomore Slums” is pretty rad. The slums have also come a long way as far as appearances. Over the past five years, the university has invested over $17 million in funds to spruce up these buildings, according to Associate Director of Housing and Residential Life Dr. Jeffrey Plouffe. These changes included new door locks, all new furniture and getting rid of the built-in closets. I certainly have more space than I did in my freshman triple and the wardrobes provide more shelving and storage, too. My favorite part of the improvements are the bathrooms. Allow me to paint a glorious picture: a single stalled bathroom, with two sinks and one shower. URI spent about $10 million to replace doors, locks, flooring, showers, toilets and sinks, said Plouffe. Thanks to the suite-style arrangement, I only have to share the renovated bathroom with three other people, meaning I don’t have to worry about contracting some type of deadly foot fungus from the showers either. Aside from the major renovations and location, there is the general demeanor of the people that live there. Burnside is predominantly sophomores, many of which I knew from classes. After already surviving one year, everyone is so much more relaxed and not stressing about making new friends or struggling to find time to do laundry. They’re older. They just get it. The smaller tower floors only hold about 16 students total, making it much easier to get to know your floormates. It feels like a little community of laid back upperclassmen who are generally content with where they are in school. Yes, they’re infamous for being too hot in the summer and too cold in the winter. Their lack of elevators makes living on the upper floors nearly unbearable for the lazy and impossible for the handicapped. They’re notorious for being old, dingy and cramped. They are all of these things, but they’re also home.